IT Best Practices: Sensor data and analytics, powered by a robust Industrial Internet of Things (IIoT) solution can help manufacturers gain actionable insights into the behavior and performance of their tools in real time. With earlier and more accurate information, maintaining tool health becomes easier, which leads to better product yield, higher quality, and lower maintenance costs. Intel has been investing in factory automation for over three decades, and specifically in IIoT for the last 10 years. We began with collecting data at various factories and applying advanced analytics to solve problems, but growing process complexity required more advanced tools and methods. As compute performance increases and data storage costs decrease, we have continually advanced our analytic solutions to create better insights into our manufacturing process. We are now using machine learning to predict issues with tool and relay forecasts in an intuitive, visual format, using customized front-end applications for large-scale activities and web-based solutions for operational and summary activities. 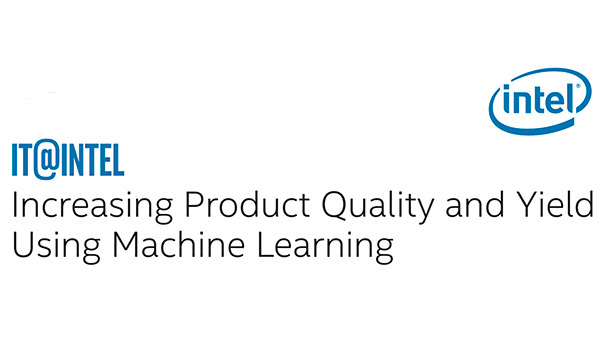 Connecting existing equipment and developing machine learning models, is required for predictive analytics and manufacturing leadership.